Today’s blog is abook review but mostly a commentary. I finished reading the book Fever 1793 by Laurie Halsey Anderson, and Lori Earley. It was a totally enjoyable read for me. I give it 5 stars. It is a story of a young girl in Philadelphia in 1793 when Yellow Fever attacked the City. It is based on a true event where over 30,000 people died of the sickness. Any time there is Yellow Fever you have water nearby, since the disease is carried by mosquitoes. You know those flying bloodsucking, always present, insects. I know God put everything on this earth for a reason, but I have yet to figure out why he gave us the mosquito. It might have been to provide activity from scratching those blasted red bumps to slapping arms, legs, face, and neck. Actually it’s anyplace that bare skin is showing. I also know it doesn’t even have to be bare skin. I’ve had them bite me through my clothes. I attract them like a magnet. 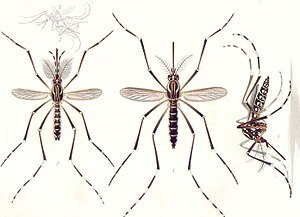 There are two types of mosquito that carry the virus that causes yellow fever the Aedes aegypi, and the tiger mosquite (Aedes alsopictus. I can’t say I know mosquito’s well enough to ID either one of them. The symptoms are nasty. The incubation period is 3 to six days after being bitten. You experience fever, headache, chills, back-pain, loss of appetite, nausea and vomiting. It severe cases it causes liver damage and you become jaundice(yellow). You may bleed from the mouth, eyes, and the GI tract. Luckily the mortality rate is only 20%, but that is a lot of people in a large population. If one survives it they have immunity. *Yellow fever epidemics struck the United States repeatedly in the 18th and 19th centuries. The disease was not indigenous; epidemics were imported by ship from the Caribbean. Prior to 1822, yellow fever attacked cities as far north as Boston, but after 1822 it was restricted to the south. Port cities were the primary targets, but the disease occasionally spread up the Mississippi River system in the 1800s. New Orleans, Mobile, Savannah, and Charleston were major targets; Memphis suffered terribly in 1878. Yellow fever epidemics caused terror, economic disruption, and some 100,000-150,000 deaths. Recent white immigrants to southern port cities were the most vulnerable; local whites and blacks enjoyed considerable resistance(*NIH.gov). Yellow fever does not exist in the United States today, but continues to kill thousands of people a year in Africa and parts of South America. One of the last epidemics in the USA was 1896. The epidemic moved across the southern states and my great-grand parents and a child died on the same day. My book to be published this fall called Dobyns Chronicles is based on this event. Very few families were not affected. Once I started reading this book I couldn’t stop. I was totally fascinated with the pre 9-11 look at what an American Muslim doctor felt and witnessed as she spent two years in Saudi Arabia. Before Dr. Ahmed visited Saudi she thought she would easily fit into the Muslim lifestyle of Saudi Arabia. She had no idea what she was going to face during her time in Saudi. If you want greater insight into both the Muslim religion and the Saudi woman’s world, I would recommend this book. I gave it five stars for content. It is an excellent story to read. I have to say this book opened my eyes to a world that I knew nothing about. Over the years I’d heard stories about the plight of the Saudi woman and looked at the pictures in the National Geographic when an article was done, but I really didn’t pay attention. I thought about working at this hospital that Dr. Ahmed speaks of in her book. I thank God I didn’t go through with it. They would have had me out of the country by sunup the next morning. I don’t like bigotry, antisemitism, or hatred for my country. The Muslim religion believes in the same God as Christians do. I’ve lived long enough now to know that there is good and bad in both. Put into the hands of extremists, either can be turned into something it was not intended to be. I am happy to say that the plight of the Saudi woman is changing according to Dr. Ahmed. If you get the opportunity I would highly recommend this book by Dr. Qanta Ahmed. I have begun looking at a topic that I didnt ‘t believe. I’m sure there are millions who don’t believe either, but come to find out there are millions who do. For some people this is ranked right along side UFO’s. Reincarnation is the belief you keep coming back to this earth until you have learned the lessons you need to learn. I just completed reading a book by Brian L.Weiss, M.D. called “Many Lives, Many Masters”. It is a true story of Dr Weiss who is a prominent psychiatrist and one of his patients. Dr. Weiss had tried all the conventional methods of therapy which didn’t work on this trouble woman. He decided to try Past-Life Therapy since he’d been reading about it. That therapy changed the life of the woman but also his belief system. It is a book worth reading. I have had an experience in my life that I couldn’t explain, but after reading and talking to other people, I know think it is explained. Let me tell you the story and you judge for yourself. I have always liked to travel and see new things but I have always been drawn to National cemetaries. I have visited many and I have always experienced a profound, almost numbing sadness. I would walk among the tombstones reading the names, one after another. I was working as a contract nurse in Greenwood Ms. in 1995. I decided on my days off that I was going to go see the Vicksburg National Park. I made the tour of the park with a heavy heart thinking how could men do this to each other and the land they were supposed to have loved. I had no intention of going to the National cemetary, but I was drawn there like a moth to light. You drive through the gates and on each side of the road is row after row of marble markers. I could hardly drive because of all the emotions bubbling inside of me. When I reached the last row of stones on the left hand side, I had to stop and get out of my truck. I started walking and reading names, when I came upon one Confederate officer grave (I can’t remember his name) I broke down into hysterical crying. I remember my mind telling me this is crazy but I couldn’t stop. When I got back in my truck I spoke out loud, “this man is the other half of me”. I have never been able to explain my reaction. I haven’t had the need to visit another National cemetary, but that experience has never left me. My question is, “Was he my husband during the Civil War? What do you think? I decided to write my blog today about a book I finished yesterday that astounded me. 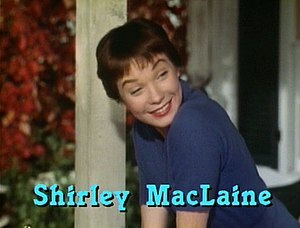 I read Out On A Limb by Shirley MacLaine. Did I get a surprise. I was expecting a bizarre, far out story. The book was an easy to read and understand in her struggle to find spirituality. ​Being a spirit filled Christian I also thought she would have things to say that wouldn’t set well with me. That wasn’t the case either. My understanding of what she wrote is we are the divine, spiritual, power. Since we are the body of Christ would that make us divine in nature? Every power that Christ demonstrated, we can have; when we reach his level of spirituality. life over and over until they change. Maybe that is where the term hell on earth comes in. That was my thought not hers. She is a woman who struggled to discover who she was supposed to be. It took her years to come to terms with her life. She studied while she traveled around the world searching for understanding. This was all in-between her show business dates. I would recommend this book just to give you an insight into another’s thinking about spirituality.